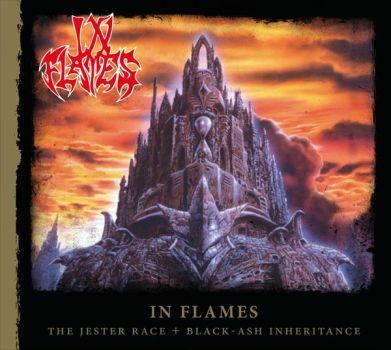 IN FLAMES - THE JESTER RACE RE-ISSUE 2014 (DIGI) | Online Shop | Wizard LTD. Album: "THE JESTER RACE RE-ISSUE 2014 (DIGI)"
- CENTURY MEDIA ONE-SHOT CAMPAIGN! ВРЕМЕННО НАМАЛЕНИЕ!! СЛЕД ИЗЧЕРПВАНЕ НА ОПРЕДЕЛЕНИТЕ КОЛИЧЕСТВА ЦЕНАТА СЕ ВРЪЩА НА СТАРОТО НИВО! In 1996, Gothenburg’s IN FLAMES released the majestic melodic death metal classic „The Jester Race“, which is now being reissued as part of Century Media’s comprehensive IN FLAMES catalogue campaign as Special Edition CD Digipak (incl. the “Black Ash Inheritance” EP and three additional bonus songs) and on vinyl!